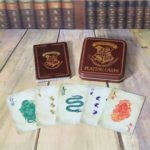 Deal in the magic with this set of Harry Potter Hogwarts Playing Cards, the ultimate in playing card trickery! 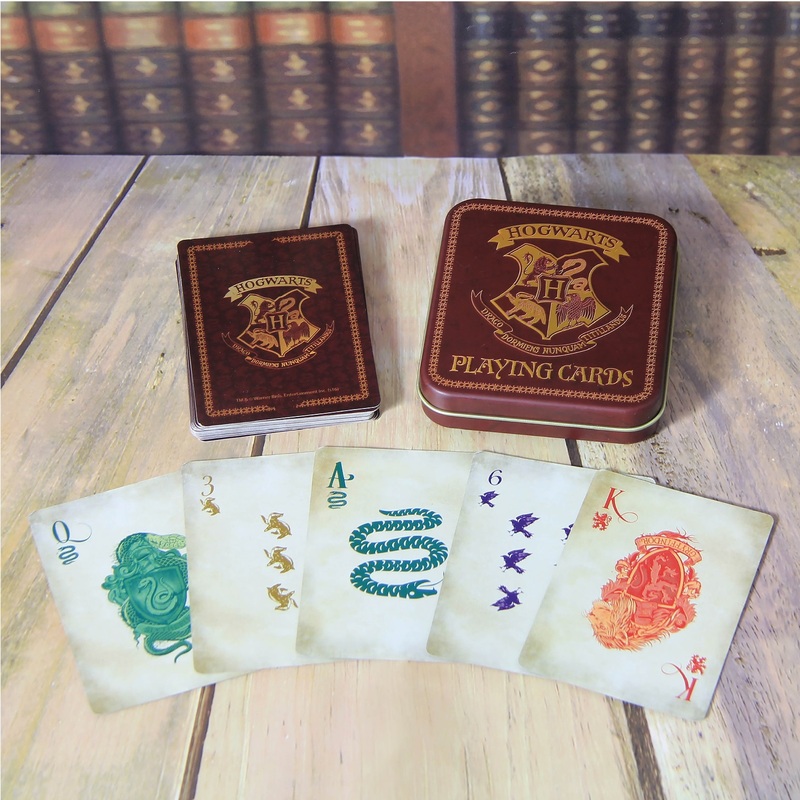 Inspired by the four houses of Hogwarts School of Witchcraft and Wizardry, the deck features suits in the designs of Gryffindor, Hufflepuff, Ravenclaw, and Slytherin, making this a fun gift for any fan of the famous boy wizard. 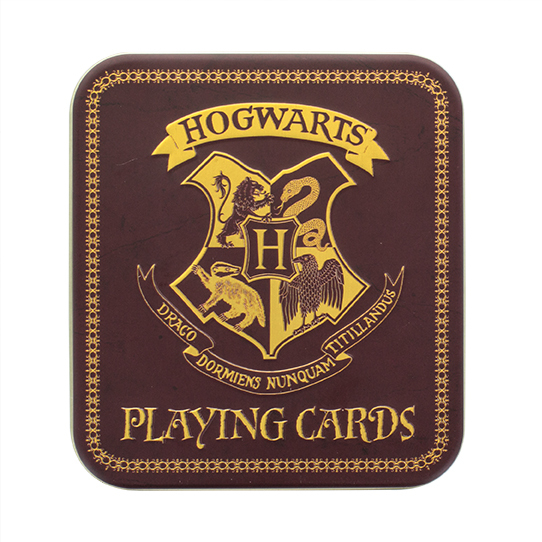 The set comes in a metal embossed burgundy tin, complete with the iconic crest of Hogwarts, and even features the school’s Latin motto ‘Draco dormiens nunquam titillandus’ (Never Tickle a Sleeping Dragon). 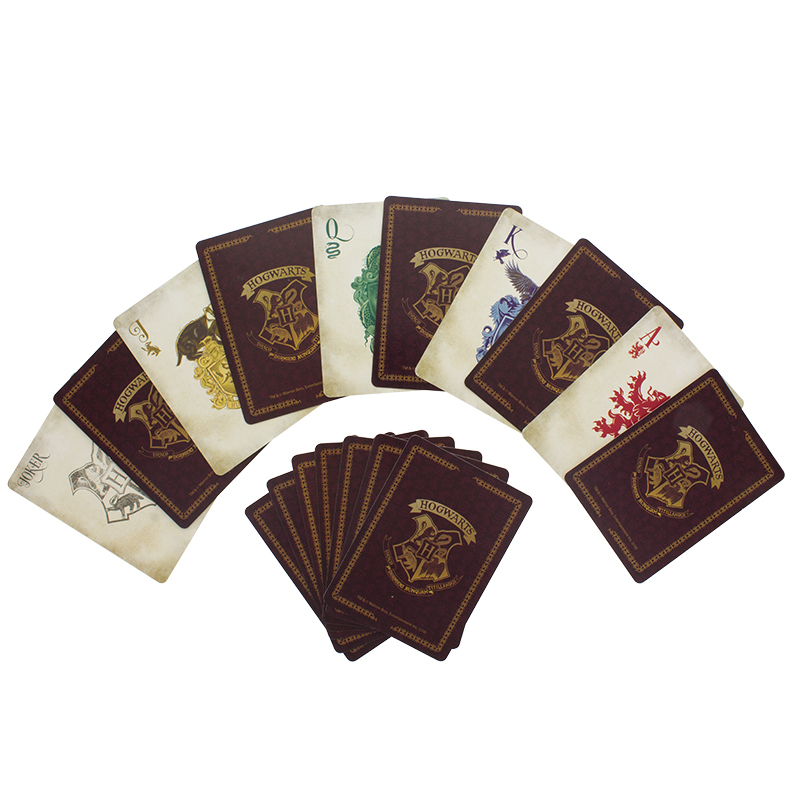 A great gift for fans young and old, this is the perfect piece of Harry Potter memorabilia, one of the most popular and successful novel and movie franchises of all time. First published in 1997, J.K. Rowling’s bestselling series of novels has since become a cultural phenomenon. Harry Potter is instantly recognisable to millions of people across the world, and is hugely popular among fans of all ages. 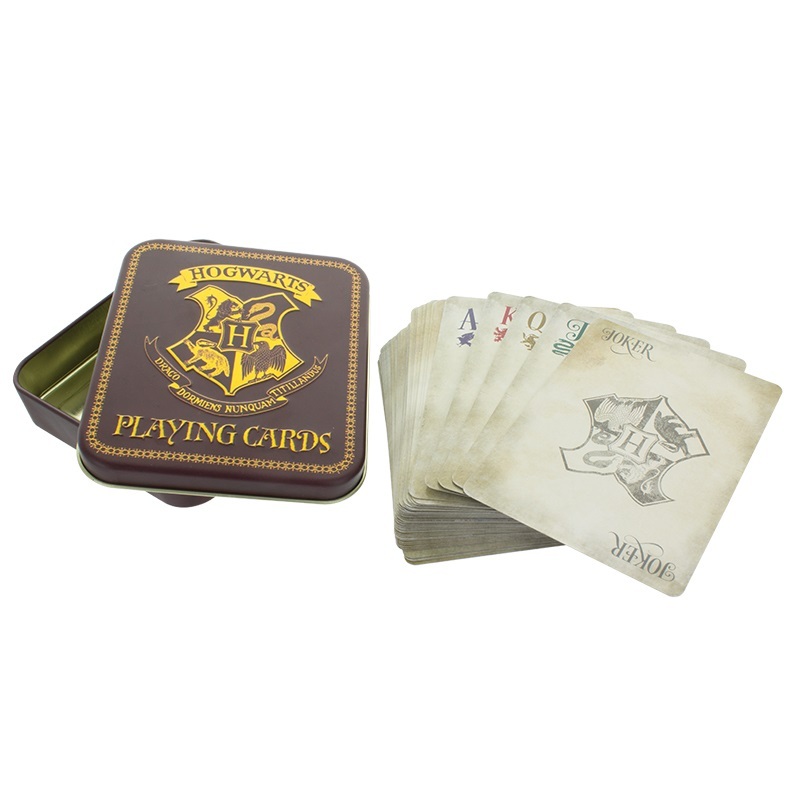 The Harry Potter Hogwarts Playing Cards is an officially licensed product.